"The Invaders" - that is what the citizens of the city of Tijuana, Mexico are calling the 'caravaners' coming up from Honduras. Many holding signs that say, "Donald Trump was right!" 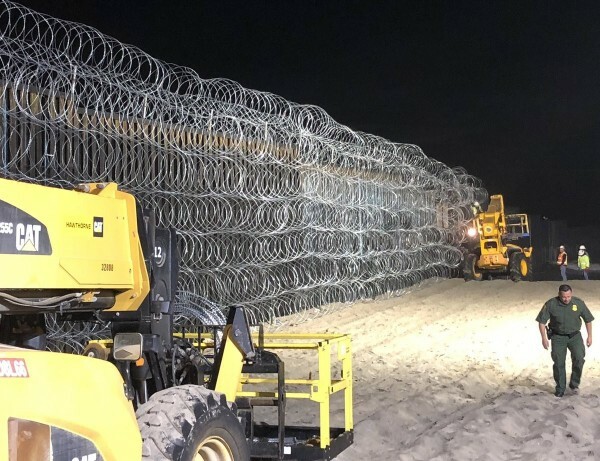 Well, guess what, just as we predicted a month ago, the so-called caravan didn’t walk all the way to Tijuana, Mexico. Somebody paid for busses to take them all the way. President stopped them from entering by Executive order, so now a liberal judge has ordered him to stop doing that – essentially opening the borders. Well, lemme tell you, that has caused such a clog of caravaners crammed into an already crammed Tijuana, Mexico that the townspeople marched on the invaders and called them just that – invaders. Last edited by turiya, 23rd November 2018 at 01:17.
lol...you know what OSHO says don't you? The thing about mental and maturity age? Perhaps, it's time for a little agonizing reappraisal. We know Trump is a pathetic and very disturbed thing...Propaganda needs to be sourced elsewhere to at least inspire outrage. It is disappointing however, that even a small percentage of Mexican citizens are as lacking in humanity, education, and intelligence as many in the United States. I think I know at least one of them that might have been out holding signs. I think you might like him Turiya...he's spiritually clueless, narcissistic, and just generally a sad human being (but according to his self-assessment amazingly enlightened). We know they exist, but given that their innate approach to survival is self-immolating likely not for long. Last edited by NotAPretender, 23rd November 2018 at 01:31. Anti-immigrant protesters march towards an immigrant shelter on November 18, 2018 in Tijuana, Mexico. Several hundred Mexican demonstrators marched, demanding members of the migrant caravan leave the country. Last edited by turiya, 23rd November 2018 at 02:06. 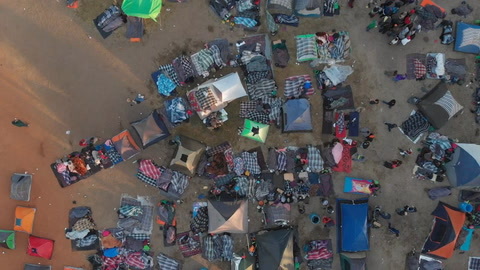 Migrants arrested for drugs, drunkenness, police interference ..
Officials from the Tijuana border city of Mexico have said they have arrested 34 migrants from a large colony of Central American migrants traveling through Mexico. Migrants have been arrested for drug possession, public drinking, disturbance of peace and police interference, said Reuters, adding that they would be deported to their countries of origin. In the main refugee column, there are currently between 4,000 and 6,000 migrants. Last edited by turiya, 23rd November 2018 at 16:45. TIJUANA, Mexico — Hundreds of Tijuana residents, opposed to what they described as the "chaos" of the Central American migrant caravan, gathered at a prominent roundabout in Tijuana Sunday morning, before marching to a large, temporary shelter, which now holds about 2,400 migrants. Tijuana resident Guadalupe Barrera said the protesters oppose how the migrants entered the county. She held a sign that read in Spanish "no more caravans." Last edited by turiya, 23rd November 2018 at 02:41. 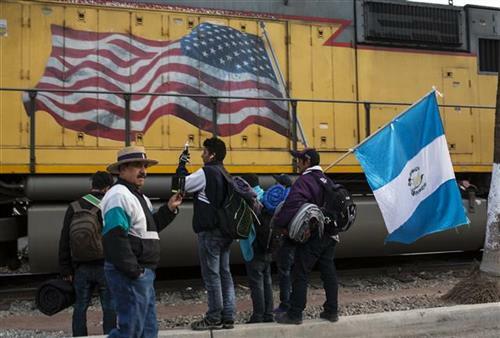 The gigantic migrant caravan of Central Americans regroups in the Mexican city of Tijuana, border with the United States, with the intention of crossing to American soil. Last edited by turiya, 23rd November 2018 at 16:44. National Institute of Migration located in the downtown area of ​​the city of Tijuana. Last edited by turiya, 23rd November 2018 at 02:29. Tijuana’s Mayor Juan Manuel Gastelum has made a number of public statements since the caravan arrived in the border town. He called the influx of people an “avalanche” and said the city is “ill-prepared” to handle the situation. It is estimated migrants could be in town in Tijuana for as long as six months or more as they attempt to gain asylum in the United States. It occurred to me that many Americans live in Tijuana...yeahhh, that explains it. Americans treat anyplace they are as 'theirs'. Just look at Trump...Sad, isn't it? Last edited by turiya, 23rd November 2018 at 03:00. German News... Where's the American Main Stream Media??? Tijuana (dpa) - Hunderte Menschen haben am Wochenende in der mexikanischen Grenzstadt Tijuana gegen den Zustrom von immer mehr Migranten aus Mittelamerika protestiert. Sie schwenkten mexikanische Flaggen und zeigten Transparente mit der Aufschrift «Nicht noch mehr Karawanen». US-Präsident Donald Trump hatte zuletzt immer wieder betont, die Migranten nicht ins Land zu lassen. Er sprach von einer «Invasion» und ließ rund 5600 Soldaten an die Grenze verlegen, um die Menschen zu stoppen. Insgesamt sind über 8000 Migranten in verschiedenen Gruppen auf dem Weg in die USA. Last edited by turiya, 23rd November 2018 at 04:15. There is a slippery slope here and it's a dangerous one. We can start calling any immigrant group we like an 'invasion'. Invasion can be used as an excuse to wage war and worse. If we start to be so careless with the use of words which are just lies anyway we have no morals and no standards. That's where we lose our freedom. I think some folks should give Mr. Passio a listen. If the migrants were armed and taking land by force, then it would justifiably be called an invasion. Since they're unarmed and not actually kicking anyone off their lands, it is just fearmongering, pure and simple. Nobody's life will be negatively impacted by this migrant caravan and that's just a fact. I honestly think this fear of Native American migration (because that's what it mostly is) is just classical projection. White settlers in North America know full well how they treated the Indians in the past, so they're projecting that into their fears of the very same people they dispossessed coming back and retaking the land that used to belong to their kind. "Invasion" is meant to trigger people. And it does. Sadly, the more people are triggered and put into fearful mindsets, the more often and easier that happens. This is why we're supposed to be able to rely on our President to unify us, reassure us, comfort us. Trump doesn't care for that duty and appears unable to execute it. He has to read from a teleprompter for that sort of thing and it sounds forced. Because it is.